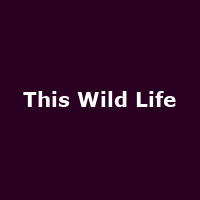 This Wild Life are an acoustic pop duo from California formed of singer/ guitarist Kevin Jordan and guitarist Anthony Del Grosso. They released their debut album EP, "Pop Shove It" in 2011, followed by: "Heart Flip" (2012 EP). Their debut album, "Clouded" was released in 2014, followed by: "Low Tides" (2016), plus 2018's: "Petaluma".